Ditch tradition and send your lovely Mum a Mother’s day cupcake gift box delivered to her door. 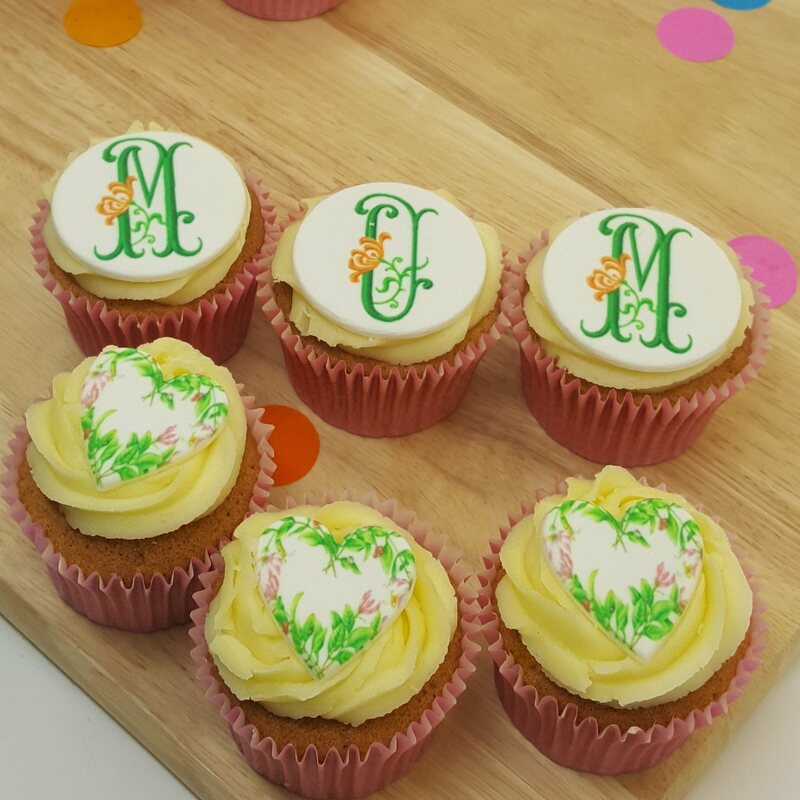 Treat your Mum to this gift box filled with 6 cupcakes, topped with your choice of frosting flavour and finished with our floral 'Mum' fondant icing topper design. The cupcakes come beautifully presented in a premium gift box. 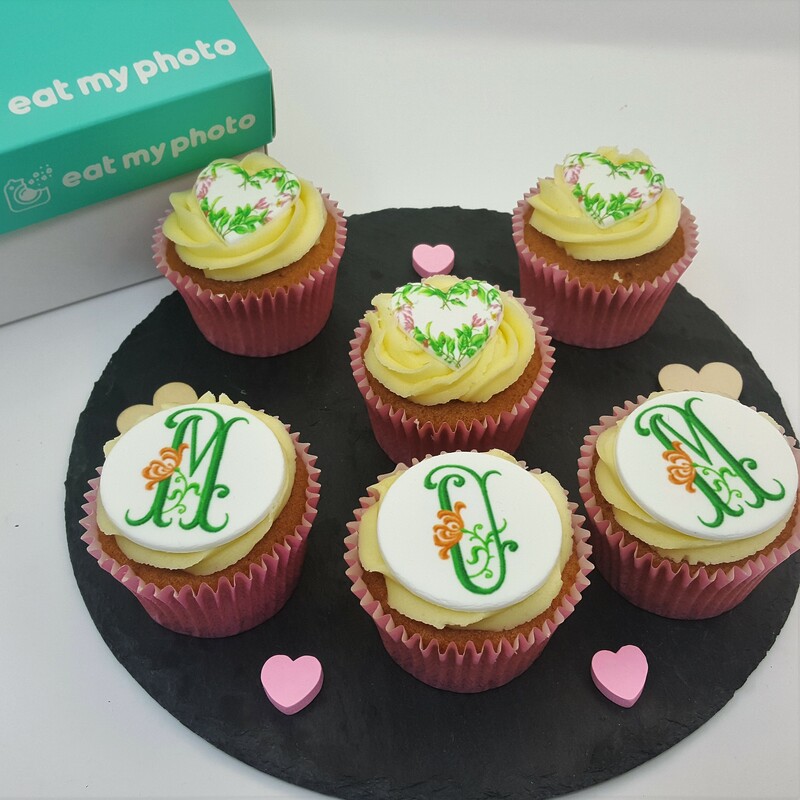 Lovingly baked in Eat My Photo's Lancashire bakery using the best quality ingredients locally sourced to cake shop recipes. Shelf life: recommended to eat within 3 days of receipt. Shipping: Your cupcakes will be sent using an overnight, fragile service to ensure they reach you in their best condition. If possible, please pick a specific delivery date at checkout to receive your item. Sponge Cake – Free range eggs, sugar, wheat flour, butter, golden syrup, (Chocolate cake includes cocoa powder), (Lemon cake Includes lemon zest). Light Chocolate Filling & Frosting– Unsalted Butter, Butter with Vegetable Oil, Icing Sugar, Cocoa Powder. Raspberry Ripple Filling & Frosting– Unsalted Butter, Butter with Vegetable Oil, Icing Sugar, Anti-caking agent E341, Starch (trace), Natural Flavourings, Carriers (Maltodextrin, Gum Arabic), colouring. The following ingredients form part of many of our products. 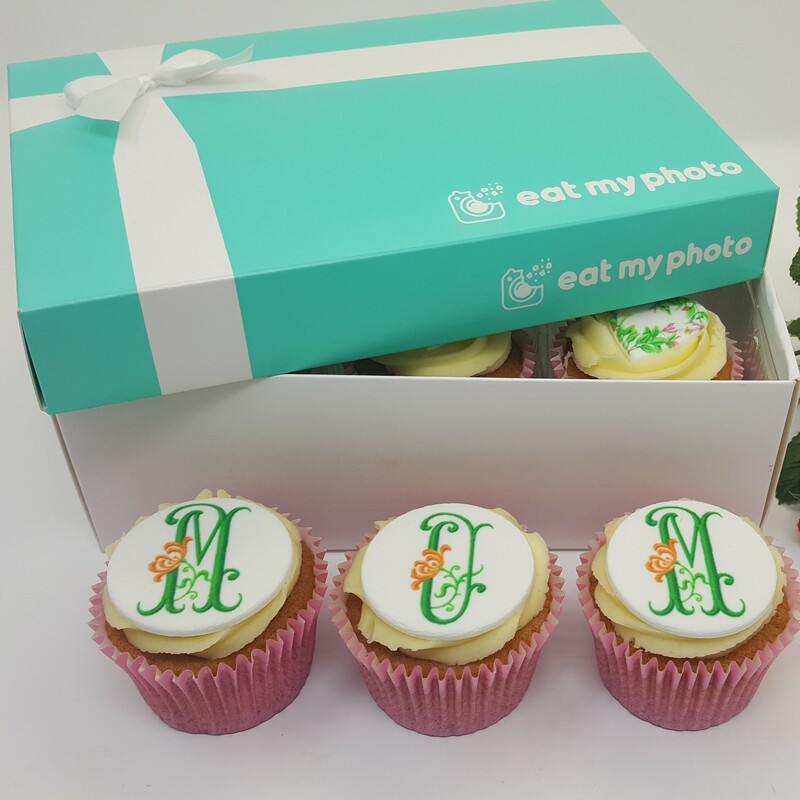 We use a high quality sugar paste icing that is specially formulated to provide the best surface to print logos and images. The ingredients for our icing are: Sugar, vegetable oil, glucose syrup, Humectants (E420, E422), water, Stabilisers (E413, E415), flavouring, colour (E171), Emulsifier (E472©), Acidity regulators (E270, E325), Preservative (E202). We use Royal Icing to attach some of the logo branded toppers to cakes and biscuits. The ingredients of Royal Icing are: Wheat starch, Dried egg albumen, Sugar, Modified starch, Acidity regulators: Calcium lactate, tartaric acid, cream of tartar, lactic acid. Dextrose, Stabiliser: Guar gum. Icing Sugar. Water. We use Strawberry Jam and Lemon Curd in some of our products as detailed below. Glucose-Fructose Syrup, Strawberries, Gelling Agent: Pectin: Acid: Citric Acid; Acidity Regulator: Sodium Citrates. Glucose-Fructose Syrup, Sugar, Water, LEMON JUICE FROM CONCENTRATE (8%), Margarine [Vegetable Oil (Palm, Rapeseed, Pal Fractions), Water], Maize Starch, Dried Whole Egg, Gelling Agent: Pectin: Acid: Citric Acid; Acidity Regulator: Sodium Citrates. ; Colours: Lutein, Beta-Carotene: Lemon Oil, Antioxidant: Ascorbic Acid.